Co-Head of VAM’s Violin Department, Lawrie Hill is one of Canada’s most respected pedagogues, responsible for producing multiple generations of students who have been accepted to the most prestigious music schools, prizewinners of international competitions, and acclaimed professionals who populate orchestras and faculty rosters around the world. Lawrie has garnered a reputation for nurturing exceptionally promising young musical talents into poised and polished performers, applying many of the pedagogical principles she learned from her principal teachers: Gwen Thompson, Tom Rolston, Ranald Shean, and Yasuko Eastman. 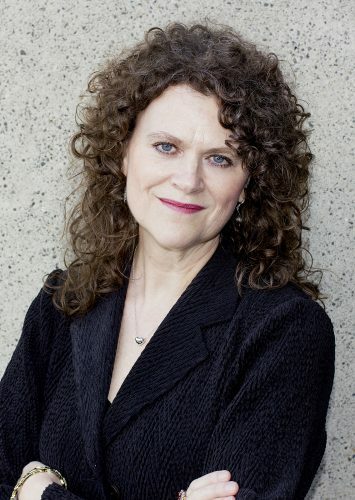 In addition to her significant teaching responsibilities, Ms. Hill has been a member of the Vancouver Opera Orchestra for many years, as well as a long standing member of the former CBC Radio Orchestra. Lawrie has toured many times with the Royal Winnipeg Ballet, and with several international shows, including: Phantom of the Opera, Les Miserables, Showboat, and The Music of the Night Tour. Other artists that Lawrie has performed with and for include: Pavarotti, Cecilia Bartoli, Natalie Cole, John Denver, Lyle Lovett, Sarah McLaughlin, Diana Krall, Ray Charles, Led Zepplin, Michael Buble, The Rankin Family, and many others. Ms. Hill was a devoted member of the former jazz string quartet, Babayaga for ten years.